I was talking with Bryan (aka Casinomeister) at G2E 2016 about live casinos and we were discussing what’s been happening in that particular area of online gaming. It wasn’t that long ago that the quality of the streaming was generally pretty poor, with lost connections being a regular occurrence. That and the limited set of live games was enough to put many people off, Bryan included. But as a regular player myself, I’ve noticed significant advances in the technologies, games and supplier innovation in recent times. The solutions today are almost unrecognisable from what they were a few years ago. And playing at a live casino can now be a very enjoyable experience. Bryan suggested penning an overview of the current state of Live Casino and as someone who spends hours pouring over card tables on a regular basis, I’m happy to oblige. So what is a Live Casino? Very briefly it’s a solution that allows online players to play table games that are streamed in real time from either land based casinos or purpose built studios. What live games can be played? You can play a whole range of games at lives casinos. New games are being added by the larger suppliers every few months. The live casino games now include – Blackjack, Roulette, Baccarat, 3 Card Poker, Casino Hold’em, Ultimate Texas Hold’em, Caribbean Stud Poker, Sic Bo, Hi-Lo, Craps, Bet on Poker, Bet on Baccarat, Russian Poker & Dragon Tiger. Depending on who the supplier is, each game can have different playing options, so finding the game with the playing characteristics you like can be a bit of a challenge. Keno and Lottery are also offered as Live Games but they are not traditional casino games and only a few suppliers tend to offer these. Who provides the Live Casino Solutions? There are many companies providing the specialist live casino solutions. Depending on what part of the world you’re from you’ll probably be exposed to some more than others. Casino Software providers like Playtech, NetEnt, Microgaming & BetConstruct have their own in house solutions, so you’ll tend to find casinos running their Slots & Sportsbooks will also use their live casino software. Then there are the specialist providers, like Evolution Gaming, Extreme Live Gaming, Actual Gaming, Ezugi, Vivo Gaming, Global Gaming Labs, Wirex, Authentic Gaming. Media Live, Xpro Gaming and Visionary iGaming. These are platform independent solutions so you’ll find these at casinos that either need a specific licenced solution or want particular games / languages for their players. The Asian Live Casino market is very advanced, with suppliers such as Asia Gaming, Opus Gaming and Asia Live tech providing Asian orientated games into that market. You may be familiar with some of these. Baccarat, Sic Bo, Dragon / Tiger, Fan Tan, Xoc Dia and Roulette. Blackjack is a very western game so you’ll not find that offered much by the Asian suppliers. Studio or Land Based Streaming? The technology has advanced so much that games can be streamed in real time from either a Studio or an established land based casino. Streaming from Land Based works best for one to many games like Roulette and Baccarat where there is no limit on the number of players that can be supported. That’s why you don’t see 7 Seat Blackjack being streamed from Land Based casinos. Actual Gaming, Authentic Gaming and Evolution Gaming provide streamed games from land based Casinos. In my experience the land based streaming appeals to a certain type of player and while it may not be everyone’s cup of tea it’s becoming more popular with high stakes players, purely because of Casino brand recognition and the extra trust factors you get from a land based casino. Studio Streamed games are by far the most popular. The gaming tables are generally shared between casinos, making this a very cost effective way for online casinos to provide Live Casino games. Dedicated tables take Live Casino to the next level for some online casinos. This requires a larger investment on their part, but gives them a dedicated environment that they can customise for their own ends. 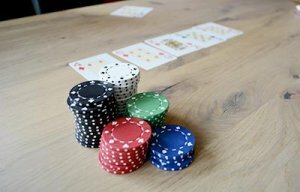 These casinos are able to offer on table promotions and allow their players to chat amongst themselves, unlike the generic tables where this is not possible. The other advantage is the casinos can have their own dealers. This gives both players and dealers a chance to build a rapport and helps create a more personal playing experience. Streaming technologies are very advanced now and most of the solutions can auto sense the connection type and speed you’re coming in on and optimise the streaming accordingly. You do still get the odd streaming issue but these can normally be tracked down to your own network or PC rather than the providers. Live Casino can be played on Desktop and Mobile, but some of the suppliers are still struggling to get their games mobile ready. NetEnt for example, have only recently made their Live Roulette playable on mobile while Live Blackjack is only just in the pipeline. All games are surprisingly playable on mobile devices now that the streaming issues have been largely resolved. I tend to switch between a tablet and my desktop PC when playing. That’s generally more to do with where I am and what else I’m doing at the same time. Very rarely will I use my mobile phone. Most of the suppliers hold licenses with at least one of the licensing jurisdictions and this dictates the countries where they can offer their games. Quite often an online casino may have more than one Live Casino partner. This is normally so they can offer a great range of games, but also has a lot to do with what countries they wish to target. The introduction of the UKGC Licensing scheme saw many of the companies exit the UK market, which is a shame as some of the software is very good and we no longer get a chance to play it. Ezugi are the first live casino provider to gain a licence to provide live games in New Jersey through the Golden Nugget Casino. I’ve visited a few Studios and Land Based Casinos where games are streamed from, both in the UK and abroad, so I’ve seen first-hand the type of security that’s in place. I come from an IT background so I’m used to being in secure environments and the Studios are treated very much the same as Computer Rooms. There is CCTV everywhere. All doors require access passes. All table play and chat is recorded and at one supplier there were dual recordings being performed. Cards are regularly changed and equipment is tested and certified, much like in land based casinos. At the heart of the games are the dealers or as some of the providers are now calling them “Presenters”. They play a very important role in the provision of the games. They are the interface with the player and can often be the reason why someone plays at a table or not. They go through rigorous training and while not at the same level as croupiers in land based casinos they have to contend with all sorts of players, respond to chat, make sure the game is played correctly and appear happy and friendly all the time. I’ve met a few of the dealers and all really loved their job. They especially liked building relationships with their players and clearly had their favourites that they looked forward to speaking to. Obviously they’re not allowed to share personal details and quite often will have an assumed name for their own protection. One of the great things about the live casino space is the player has a huge amount of choice of where to play. The limiting factor is normally the licensing jurisdictions where you can play. There’s generally a couple of elements that will influence where you might want to play. The Software. Each software supplier provides a slightly different playing experience. If you want a Latin feel, with music playing in the background choose a casino that runs software from Visionary iGgaming, Global Gaming Labs, Vivo Gaming, Xpro Gaming & Ezugi. If you like something quiet and sedate (more European) then Evolution, NetEnt, Playtech, Extreme Live Gaming, MediaLive, Luckystreak & Wirex are good choices. If you like Asian dealers then Playtech’s Asian studios or Microgaming Phillipines studios deliver that. The game rules for your particular game with the right stake levels. The Casino. From Casinomeister best rated casinos like: videoslots casino, redbet casino, casumo casino. I’m very pro Live Casino games. I can’t see why you’d want to play RNG versions of the games when there is a very viable live alternative. I have my favourite games and also software that I prefer to play. As a Live Blackjack player I look for certain playing options to help tip the edge closer to me than the house. This mix and finding a casino that I can trust are the elements that help me decide where to play. Neil Walker is a UK based player who plays in both land-based and online casinos and runs the Live Casino Comparer website. He’s been playing table games for years and moved into the live casino arena 4 years ago, where he has been establishing himself as an authority for Live Casino. He is often asked to join panels at industry conferences and his knowledge is regularly tapped by iGaming industry publications. He has developed working relationships with many of the live casino suppliers and has visited many of the studios. He also provides consultancy services to the games providers, performing player centric reviews and making recommendations on the games and playing interfaces. Neil maintains a strict independence so he can review objectively live casinos, the software and the casinos using them, which he presents on his site. He is also our moderator (neilw) for the Live Casinos section of our awesome forum.